Hello traders everywhere. The stock markets opened little unchanged for on Monday holding just above the record levels set on Friday. The reason for the slow start? Earnings. That's right, it's earnings season and we're kicking off a big week of earnings with Netflix Inc. (NASDAQ:NFLX), which reports after the close today. If you're looking for a place to find a full listing of earnings dates look no further. I use Yahoo! Finance's earnings calendar. Hello MarketClub members everywhere. The indexes are looking and pacing to snap a 3-day losing streak today with the big 3 all being in the green. This move comes on the heels of a relatively quiet holiday weekend where fears of geopolitical upheaval that never came to fruition. Traders have turned their attention to a slew of corporate earnings this week, led off by Netflix and of course United Airlines, who both report after the close today. 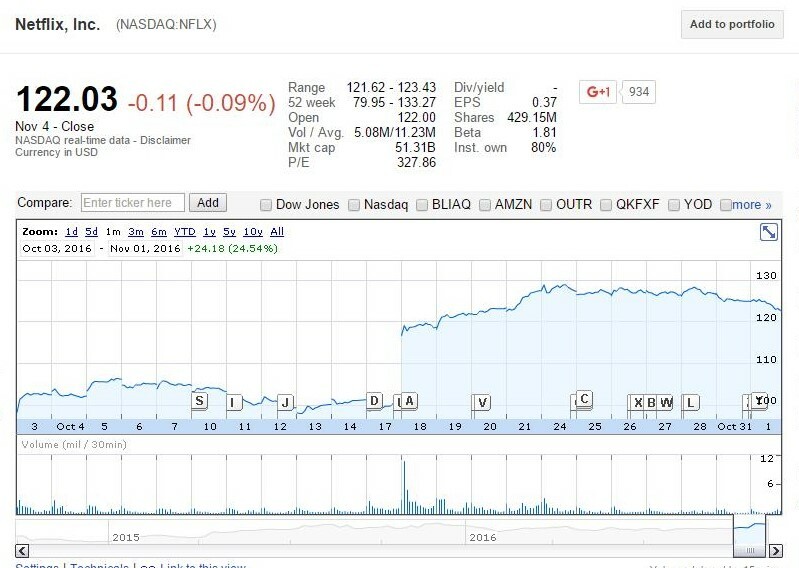 Netflix Inc. (NASDAQ:NFLX) is expected to report earnings of .37 EPS according to analysts. That would be more than a 38% increase compared with the .6 ESP Netflix reported during the same quarter a year ago. Analysts expect United Continental Holdings Inc. (NYSE:UAL) earnings per share to drop 69% to .38 EPS, this decline is a reflection of higher fuel costs. Revenue is expected to increase 2% to $8.379 billion.